Couple of weeks ago, we were priviledged enough that we were invited by one of the co-founder of Dire Husi Initiatives~Mr. Rhyan Casiño for a sumptuous "boodle fight" lunch with my cousins. 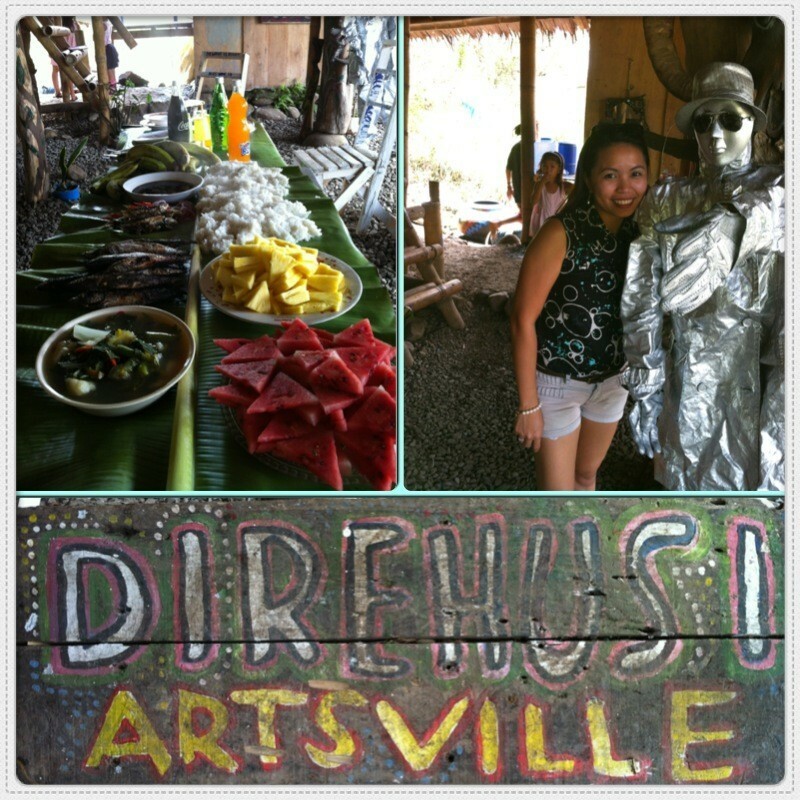 Dire Husi Artsville's new location is in Mambatangan, Upper Puerto Cagayan de Oro City. If you really love arts, you will surely appreciates the place in itself. “Dire” is a Visayan word for “here” and “Husi“ is a Manobo word for “friend.” We are a youth organization, a creative social enterprise, an artisan collective, a band of world musicians, a training hub, and a fair trade advocate. If that already sounds a bagful, wait and see, because we believe that with faith and dreams, we could be so much more.